Lydd Golf Club is an undiscovered gem on the South East Coast. 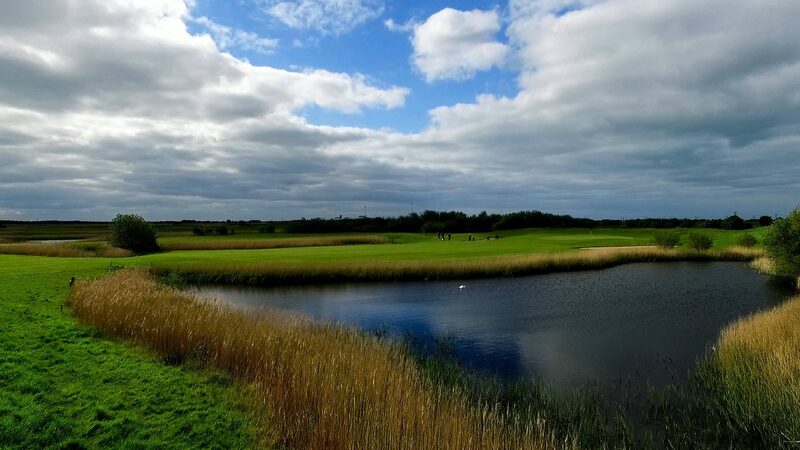 It combines classic risk and reward golf with breath taking lakes and links style, making this an extremely enjoyable test of skill and control. The golf course is a challenging 6,629 yard Par 71 and is an ideal venue to host society days and corporate events. Boasting an 18 bay, undercover, floodlight driving range along with a 6-hole Academy Course, Lydd Golf Club is fully equipped to provide a first class service to all. We have a friendly and welcoming team and our pro shop can accommodate your every requirement and provide all your essential golfing needs, including trollies and buggies. Before or after your round, relax and unwind in our superb clubhouse in the capable hands of our experienced catering team, who can provide anything from light refreshments to 3 course meals tailored to each individual requirement. 18 hole packages available with breakfast, lunch and evening meal options Packages start from £23.50pp Packages can be tailored to individual requirements. One mile from the A259, between Folkestone and Hastings, which is two miles west of the Cinque port town of New Romney. An hour from London with ease of access from M25 and M2. The club can recommend superb places to stay in the surrounding area upon request. 18 hole Championship course, 6 hole Par 3 Academy course, 18 bay floodlight driving range, 2 putting greens, chipping green, spacious clubhouse with function room, fully stocked licensed bar, pro shop, car park, free WiFi.